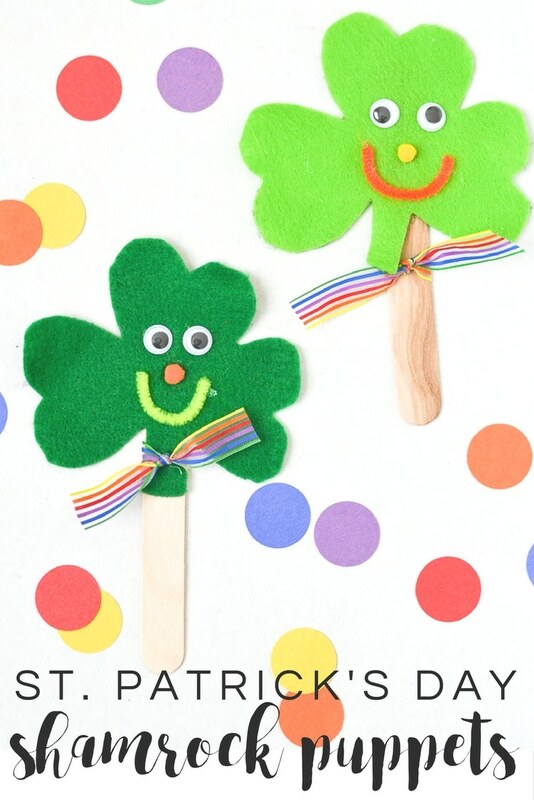 Using just a few basic craft supplies, make these cute felt shamrock craft stick puppets with the kids for St. Patrick’s Day! Raise your hand if you happen to have one of those craft cabinets or drawers that are a black hole of supplies for kids’ crafts. Totally guilty here! I actually have at least three drawers full of supplies that would probably last until my great-great grandkids have kids. And let’s not even get started on the amount of craft sticks I have…honestly I think they multiply over night! So my goal this year is to start making a dent in my supplies, and what better way to use up craft sticks than with little puppets! 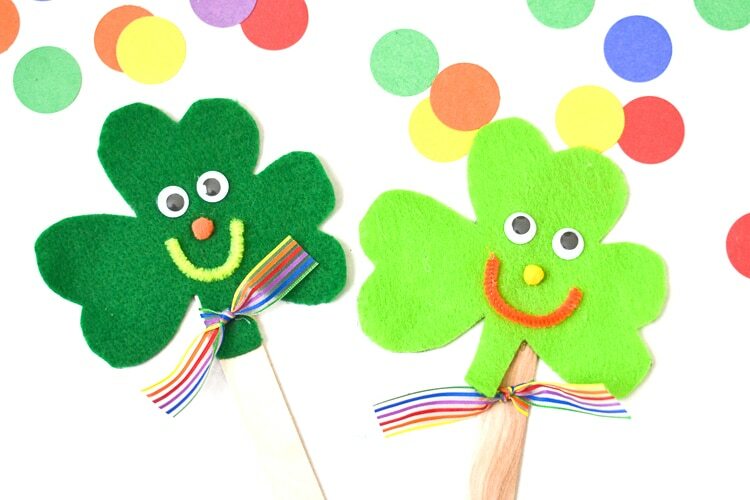 These shamrock puppets are super easy to make with the kids and can even be repurposed as “lucky leprechaun wands” to help them catch those little leprechauns on St. Patrick’s Day! Every little bit helps when you are looking for that big pot of gold! 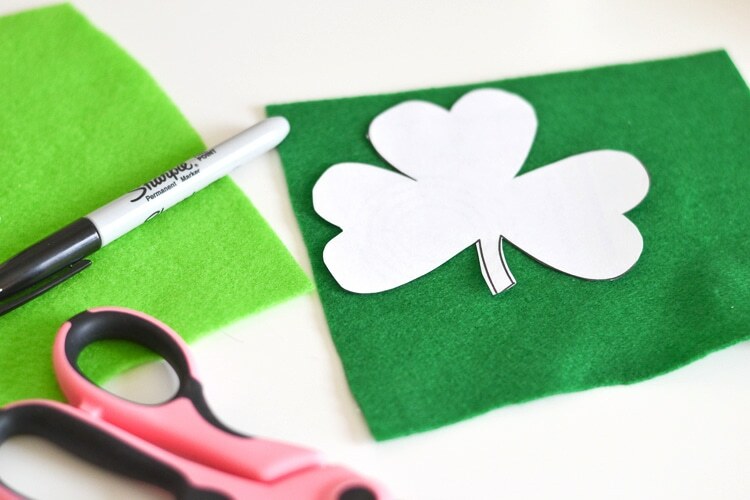 Trace shamrock shapes onto the green felt with a marker and cut out. 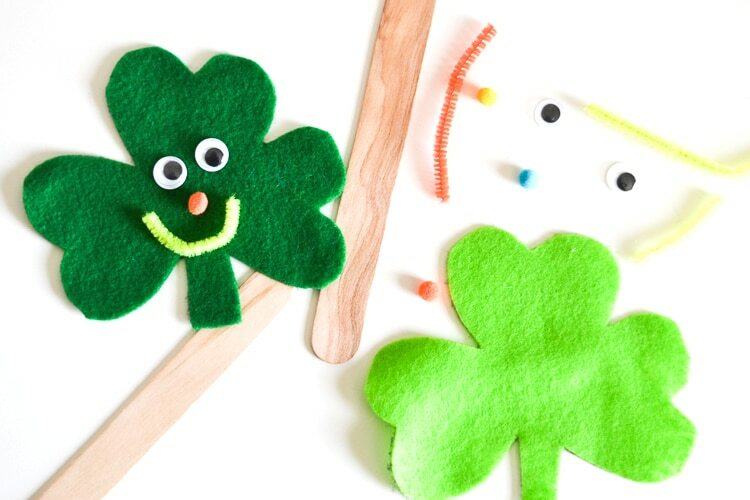 Add a face to the shamrock using googly eyes, mini pom poms for the nose, and a piece of pipe cleaner for the month. If you would like the kids to work on this independently, then have them use white glue to attach all of the pieces. Or an adult could use a hot glue gun. Cover the top half of the craft stick with some glue and place the shamrock on top. If using white glue, allow it to dry for a little bit before handling. 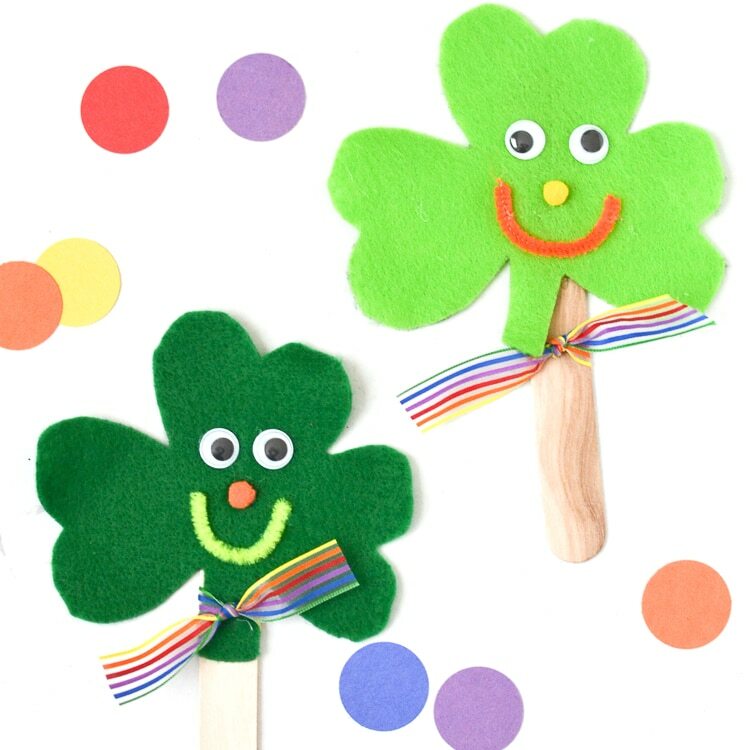 Tie a piece of ribbon around the craft stick and the cute, little shamrock puppets are finished! I happened to find the rainbow ribbon in my stash from my scrapbooking days which worked out perfect for this craft! I also thought about adding a few strands of ribbon in a variety of colors to make a rainbow or even cutting out a cute little bow tie from felt. 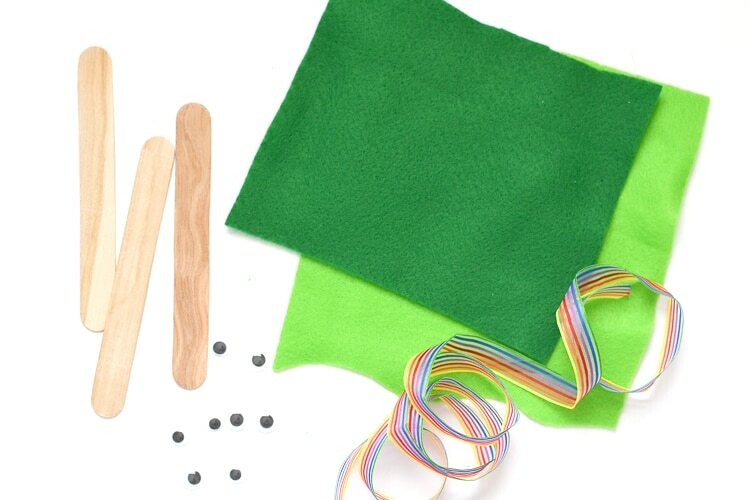 The kids could even color the craft stick in rainbow colors!